Extreme adventurer Bear Grylls has made a living by showing people all over the world how to survive in the wild, but Australians find themselves facing their own mortality just by crossing the road or going for a swim. 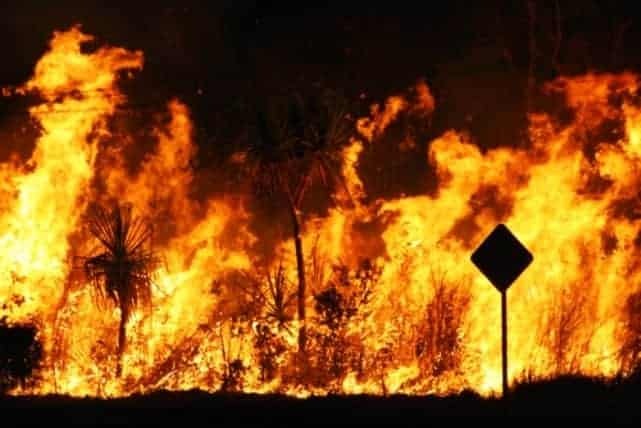 Even if they manage to survive the onslaught of natural disasters, Aussies are then still at risk of being mauled and poisoned at every turn. And they are proud of it! Cyclones bring with them nothing but fear, gale force winds of around 120kms per hour and torrential downpours. 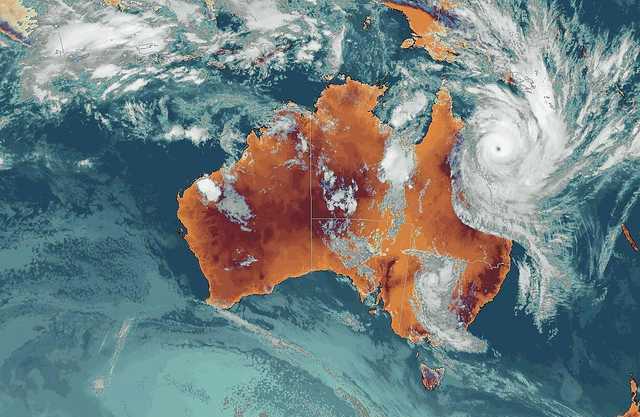 According to the Australian weather service, Aussies can look forward to no less than around 20 tropical cyclones threatening havoc between October and April every year. Summer is a scorcher. When Aussies say it’s hot, they really mean it. There was only chicken mesh between Walgett, NSW and Hell when on 3 January 2014 a mid-day high of 54deg Celsius was recorded. The Australian saltwater croc is the largest of all living reptiles, as well as the largest terrestrial and riparian (riverbank) predator in the world. Male salties can reach sizes of up to 6.7 m and weigh as much as 2,000 kg. 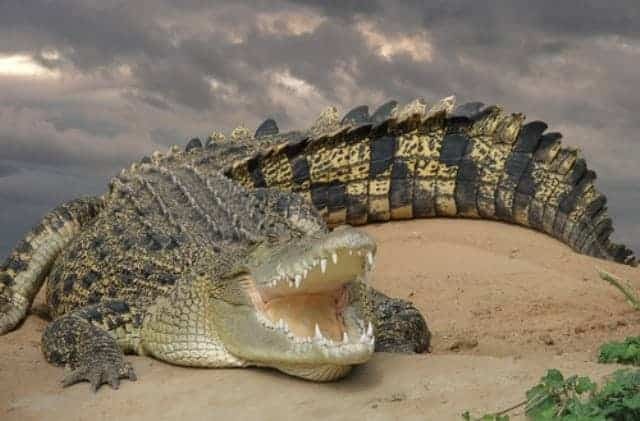 While very aggressive, attacks are in fact relatively rare due in part to the fact that the crocs only inhabit the sparsely human populated tropical north. 28 crocodile attacks were recorded in Australia between 2010 and 2014. Even fewer are fatal, with just 7 in that period. Still, not a very nice way to go out. There are freshwater crocs too, by the way, but they tend to be a little more shy. Australia sure makes up for what its neighbour is lacking in snake species. While New Zealand has none, nada, zero, zilch, the big island next door is blessed with no less than 100 poisonous snake species. In fact, Australia is the only place on Earth where there are more venomous snake species than non-venomous. Better check that sleeping bag… And it comes as no surprise then that the three most venomous snakes on the face of the planet would find themselves on the smallest continent… They are the Coastal Taipan (most venomous), the King Brown and the Tiger Snake. Just a drop of venom from the Coastal Taipan is enough to kill 20 adults. The Kiwi’s must have been delighted when the continental drift cut-off access for those little darlings! This ‘delightful’ creature looks like something that escaped the meteorite the that killed all the dinosaurs (and why wouldn’t he survive, he’s Australian after all). The ill-tempered Cassowary is as tall as a grown man and has the demeanour of a government official past retirement working over-time into his smoke break after a night with a bottle of sweet wine. The horned bird delivers a mean kick able to break your chest plate and is the deadliest bird on the planet. Of course, in a country where an over-sized guinea fowl can take you apart, certainly a snail – you read right, the bunch of goo hooded with a pretty shell – can be fatal too. In recent years, 20 people have been unable to ‘outrun’ the marine dwelling Marble Cone Snail and, as a result, met their untimely demise. Okay, so maybe you gave up on camping — for very valid reasons — and decide to enjoy a day at the beach instead. Step away from the water, drop your beach bucket and run for your life (to the nearest pub is safe sanctuary). In Australia another blob of brainless goo can of course kill you. The Box Jellyfish is a notoriously dangerous Australian native and has been labelled ‘the world’s most venomous creature’. With tentacles reaching around 60 meters wrapping around a victim’s bikini-clad body, it injects harpoon-like triggers full of venom. Victims suffer excruciating pain and death is possible within 2 to 5 minutes! There is no anti-venom available and victims are treated symptomatically. Ouch! Ewwwww! Australia is home to a number a poisonous spiders and the world’s most venomous (picking up the trend here?). The Sydney Funnel Web (pics top and below), the Bird Eating Tarantula (Yes , a spider that eats birds) and the Trapdoor Spider are a common sight in suburban Australia. Luckily, clever humans quickly caught on and, thanks to a well-practiced spider-stomping technique and remarkable advances in anti-venom research, not many human fatalities due to a spider’s bite are recorded these days. Yup. Sitting on your kitchen counter are Australia’s biggest killers on this list. According to statistics from The Electrical Regulatory Authorities Council, there were about 70 fatalities in the past five years resulting from electrical faults in kitchen appliances. Faulty appliances were also responsible for more than 11,000 house fires in same period. So you see, Australia’s weather and animals really aren’t that bad after all. It’s the toasters you need to watch out for.